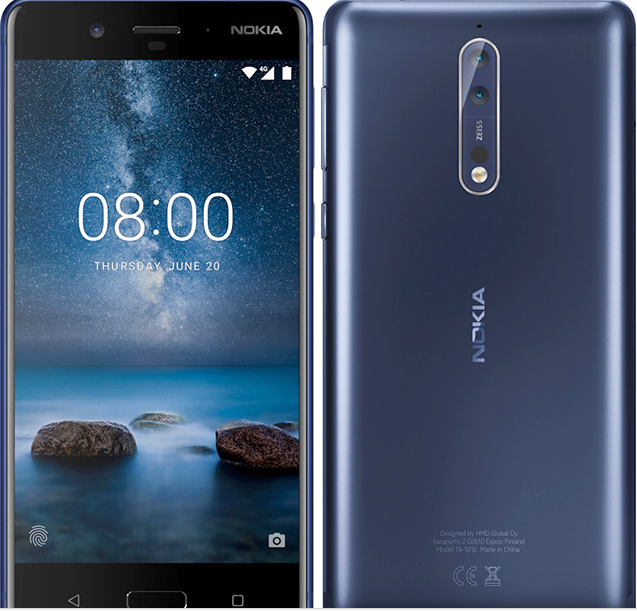 The long awaited Nokia 8 everyone expects to shoot Nokia back to the top of the industry it once ruled is finally here. Can this smartphone claim the number one spot when the roll is called upon? After Microsoft purchased Nokia, they were still regarded failure. Though fans are still ready to give Nokia a third chance because microsoft lost the second chance to redeem Nokia's name. The third time, failure is not an option. Nokia and HMD seem well aware of that and the Nokia 8 looks like it has adapted to the new reality fast. 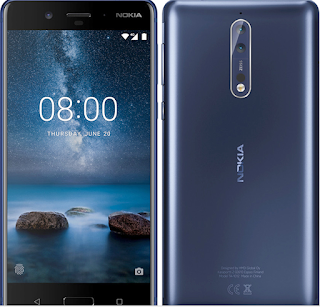 The Nokia 8 comes with the all conquering Snapdragon 835, an impressive high-res LCD, coupled with the most recent Android version and beautiful aluminium body. This device isn't left out on the latest dual camera phones (WITH 13MP SENSORS). Also, with it's 13mp front camera you are in for more than just a selfie and face time chats. The Nokia 8 has the capacity to split-screen live videos. High-end ZEISS lenses in front of all three sensors mark the return of an iconic partnership. What more can you ask for? The Nokia 8 will also incorporate the OZO camera division. Nokia co-designed the 360° spatial surround audio recording, which will capture sound with a quality to match the sharpness of the 4K video. Another rare feature, binaural audio, is supposed to offer an even more immersive split-screen viewing experience. Nokia being once an industry leader has her reputation to protect, with the Nokia 8 joining the likes of Nokia 3, Nokia 5 and Nokia 6 the company is bound to make a rebound for good.